Alexander MeigsHaig Jr. ( /heɪɡ/ ; December 2, 1924 –February 20, 2010) was the United States Secretary of State under President Ronald Reagan and the White House chief of staff under presidents Richard Nixon and Gerald Ford. Prior to these cabinet-level positions, he retired as a general from the United States Army, having been Supreme Allied Commander Europe after serving as the vice chief of staff of the Army. Bala Cynwyd is a community in Lower Merion Township which is located on the Main Line in southeastern Pennsylvania, bordering the western edge of Philadelphia at US Route 1. It was originally two separate towns, Bala and Cynwyd, but is commonly treated as a single community. This came about when a single US Post Office served both towns using ZIP code 19004. The community was long known as hyphenated Bala-Cynwyd. Bala and Cynwyd are currently served by separate stations on SEPTA's Cynwyd Line of Regional Rail. 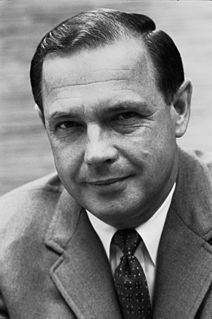 Harry Robbins "Bob" Haldeman was an American political aide and businessman, best known for his service as White House Chief of Staff to President Richard Nixon and his consequent involvement in the Watergate Affair. After Reagan won the 1980 presidential election, he nominated Haig to be his secretary of state. 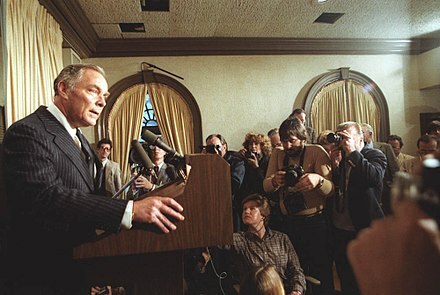 After the attempted assassination of Ronald Reagan, Haig asserted "I am in control here," allegedly suggesting (erroneously since 1947, when the Speaker of the House of Representatives was designated the second in the line of succession after the Vice President) that he served as acting president in Reagan's and Bush's absence, later iterating that he meant that he was functionally in control of the government. 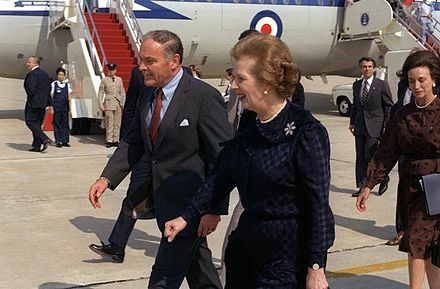 During the Falklands War, Haig sought to broker peace between the United Kingdom and Argentina. 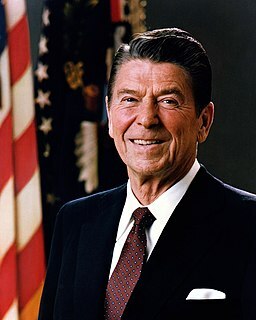 He resigned from Reagan's cabinet in July 1982. After leaving office, he unsuccessfully sought the presidential nomination in the 1988 Republican primaries. He also served as the head of a consulting firm and hosted the television program World Business Review . Haig was born in Bala Cynwyd, Pennsylvania, the middle of three children of Alexander Meigs Haig Sr., a Republican lawyer of Scottish descent, and his wife, Regina Anne (née Murphy). When Haig was 9, his father, aged 41, died of cancer. His Irish American mother raised her children in the Catholic faith. Haig initially attended Saint Joseph's Preparatory School in Philadelphia, Pennsylvania, on scholarship; when it was withdrawn due to poor academic performance, he transferred to Lower Merion High School in Ardmore, Pennsylvania, from which he graduated in 1942. Lower Merion High School is a public high school in Ardmore, a community in Philadelphia's Main Line suburbs. It is one of two high schools in the Lower Merion School District; the other one is Harriton High School. Lower Merion serves both Lower Merion Township and the Borough of Narberth. In 2005 it was ranked among the top sixty public or private U.S. high schools by The Wall Street Journal. Its athletics teams are known as the "Aces," but the football team is called the "Bulldogs". The University of Notre Dame du Lac is a private, non-profit Catholic research university in Notre Dame, Indiana. The main campus covers 1,261 acres (510 ha) in a suburban setting and it contains a number of recognizable landmarks, such as the Golden Dome, the Word of Life mural, the Notre Dame Stadium, and the Basilica. The school was founded on November 26, 1842, by Father Edward Sorin, CSC, who was also its first president. Enrolled in an accelerated wartime curriculum that deemphasized the humanities and social sciences, Haig graduated in the bottom third of his class  (ranked 214 of 310) in 1947. Although a West Point superintendent characterized Haig as "the last man in his class anyone expected to become the first general,"  other classmates acknowledged his "strong convictions and even stronger ambitions." Haig later earned an M.B.A. from the Columbia Business School in 1955 and an M.A. in international relations from Georgetown University in 1961. His thesis for the latter degree examined the role of military officers in making national policy. As a young officer, Haig served as an aide to Lieutenant General Alonzo Patrick Fox, a deputy chief of staff to General Douglas MacArthur. In 1950 Haig married Fox's daughter, Patricia. 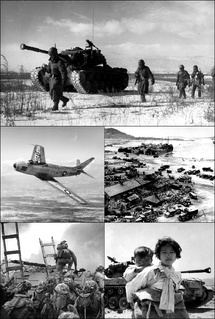 In the early days of the Korean War, Haig was responsible for maintaining General MacArthur's situation map and briefing MacArthur each evening on the day's battlefield events. Haig later served (1950–51) with the X Corps, as aide to MacArthur's chief of staff, General Edward Almond,  who awarded Haig two Silver Stars and a Bronze Star with Valor device. Haig participated in four Korean War campaigns, including the Battle of Inchon, the Battle of Chosin Reservoir, and the evacuation of Hŭngnam,  as Almond's aide. Haig served as a staff officer in the Office of the Deputy Chief of Staff for Operations at the Pentagon (1962–64), and then was appointed military assistant to Secretary of the Army Stephen Ailes in 1964. He then was appointed military assistant to Secretary of Defense Robert McNamara, continuing in that service until the end of 1965. In 1966, Haig graduated from the United States Army War College. Haig was also awarded the Distinguished Flying Cross and the Purple Heart during his tour in Vietnam  and was eventually promoted to colonel as commander of 2nd Brigade, 1st Infantry Division in Vietnam. Haig has been largely credited with keeping the government running while President Nixon was preoccupied with Watergate  and was essentially seen as the "acting president" during Nixon's last few months in office. During July and early August 1974, Haig played an instrumental role in finally persuading Nixon to resign. Haig presented several pardon options to Ford a few days before Nixon eventually resigned. In this regard, in his 1999 book Shadow, author Bob Woodward describes Haig's role as the point man between Nixon and Ford during the final days of Nixon's presidency. According to Woodward, Haig played a major behind-the-scenes role in the delicate negotiations of the transfer of power from President Nixon to President Ford. Indeed, about one month after taking office, Ford did pardon Nixon, resulting in much controversy. Haig retired as a four-star general from the Army in 1979, and moved on to civilian employment. In 1979 he worked at the Philadelphia-based Foreign Policy Research Institute briefly and later served on that organization's board. Later that year, he was named president and director of United Technologies Corporation under Chief Executive Officer Harry J. Gray, a job he retained until 1981. The outcry that immediately followed Haig's insinuation prompted him to emphatically withdraw his speculative suggestions the very next day before the Senate Foreign Relations Committee. Similar public relations miscalculations, by Haig and others, continued to plague the Reagan administration's attempts to build popular American approval for its Central American policies. In 1981, following the March 30 assassination attempt on Reagan, Haig asserted before reporters, "I am in control here"  as a result of Reagan's hospitalization, indicating that, while President Reagan had not "transfer[red] the helm," Haig was in fact directing White House crisis management until Vice President Bush arrived in Washington to assume that role. Haig ran unsuccessfully for the 1988 Republican Party presidential nomination. Although he enjoyed relatively high name recognition, Haig never broke out of single digits in national public opinion polls. He was a fierce critic of then–vice president George H.W. Bush, often doubting Bush's leadership abilities, questioning his role in the Iran Contra Scandal, and using the word "wimp" in relation to Bush in an October 1987 debate in Texas. Despite extensive personal campaigning and paid advertising in New Hampshire, Haig remained stuck in last place in the polls. After finishing with less than 1 percent of the vote in the Iowa caucuses and trailing badly in the New Hampshire primary polls, Haig withdrew his candidacy and endorsed Senator Bob Dole. Dole, steadily gaining on Bush after beating him handily a week earlier in the Iowa caucus, ended up losing to Bush in the New Hampshire primary by 10 percentage points. With his momentum regained, Bush easily won the nomination. In the 1982 film Airplane II: The Sequel , the bomber, Joe Seluchi (Sonny Bono), is briefly seen reading a magazine titled Psycho of the Month with Haig on the front cover. In the 1982 episode "The Moral Dimension" of Yes Minister , a plan is concocted to sneak alcohol into a strict Muslim country, necessitating the use of coded terminology. At one point, Bernard Woolley approaches Jim Hacker with a phone call from "Mr Haig," to which Jim queries "General Haig?," at which Bernard replies, "No, Mr. Haig. You know, with the dimples." 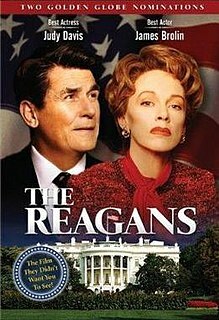 Haig was played by David Ogden Stiers in the 1989 TV film The Final Days , by Powers Boothe in the 1995 film Nixon , by Matt Frewer in the 1995 TV miniseries Kissinger And Nixon, by Richard Dreyfuss in the 2001 cable film The Day Reagan Was Shot , by Bill Smitrovich in the 2003 TV movie The Reagans , by Colin Stinton in the 2002 The Falklands Play , by Matthew Marsh in the 2011 film The Iron Lady , and by Patrick St. Esprit in the 2016 television film Killing Reagan . Haig was also mentioned in the last level of Interstate '82 , where Ronald Reagan claims that Haig was pressured to resign from office by the president himself. In the fourth episode of the first season of The Americans , Haig's remark that he was "in control" after the attempted assassination attempt on Ronald Reagan is treated by the Soviets as indicative of a potential coup in the U.S. government. On January 5, 2006, Haig participated in a meeting at the White House of former secretaries of defense and state to discuss U.S. foreign policy with Bush administration officials. On May 12, 2006, Haig participated in a second White House meeting with 10 former secretaries of state and defense. The meeting included briefings by Donald Rumsfeld and Condoleezza Rice and was followed by a discussion with President George W. Bush. Haig's memoirs—Inner Circles: How America Changed The World—were published in 1992. Alexander Haig was married to Patricia (née Fox), with whom he had three children: Alexander Patrick Haig, Barbara Haig, and Brian Haig. Haig's younger brother, Frank Haig, is a Jesuit priest and professor emeritus of physics at Loyola University in Baltimore, Maryland. Alexander Haig's sister, Regina Meredith, was a practicing attorney licensed in Pennsylvania and New Jersey, and was a co-founding partner of the firm Meredith, Chase and Taggart, located in Princeton and Trenton, New Jersey. She died in 2008. 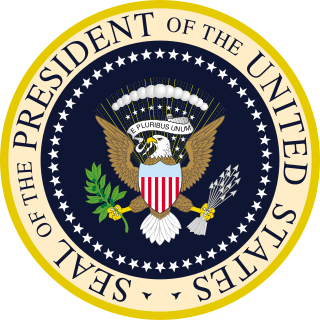 This article is about the history of the United States National Security Council during the Reagan Administration, 1981–1989. Andrew Hill Card Jr. is an American politician who was White House Chief of Staff under President George W. Bush from 2001 to 2006, as well as head of Bush's White House Iraq Group. Card served as United States Secretary of Transportation under President George H. W. Bush from 1992 to 1993. Lawrence Sidney Eagleburger was an American statesman and career diplomat, who served briefly as the Secretary of State under President George H. W. Bush. Previously, he had served in lesser capacities under Presidents Richard Nixon, Jimmy Carter, and Ronald Reagan, and as Deputy Secretary of State under George H. W. Bush. Alexander Porter Butterfield is an American retired military officer, public servant, and businessman. He served as the deputy assistant to President Richard Nixon from 1969 to 1973. He revealed the existence of the White House taping system on July 13, 1973, during the Watergate investigation, but had no involvement in the scandal. From 1973 to 1975, he served as administrator of the Federal Aviation Administration. Vernon A. Walters was a United States Army officer and a diplomat. Most notably, he served from 1972 to 1976 as Deputy Director of Central Intelligence, from 1985 to 1989 as the United States Ambassador to the United Nations and from 1989 to 1991 as Ambassador to the Federal Republic of Germany during the decisive phase of German Reunification. Walters rose to the rank of lieutenant general in the U.S. Army and is a member of the Military Intelligence Hall of Fame. The nuclear football is a briefcase, the contents of which are to be used by the President of the United States to authorize a nuclear attack while away from fixed command centers, such as the White House Situation Room. It functions as a mobile hub in the strategic defense system of the United States. It is held by an aide-de-camp. Brian F. Haig is an American thriller author and Fox News military analyst. 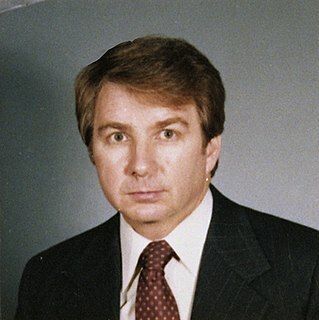 Larry Melvin Speakes was the acting White House Press Secretary for the White House under President Ronald Reagan, having held the position from 1981 to 1987. Tom Chris Korologos is a former United States Ambassador to Belgium. Edward Rollins is a Republican campaign consultant and advisor who has worked on several high-profile political campaigns in the United States. In 1983-84, he was National Campaign Director for the Reagan-Bush '84 campaign, which won 49 of 50 states. In December 2007, he was named the national campaign chairman of the Mike Huckabee campaign for President. Rollins is currently a Co-Chairman of the pro–Donald Trump Great America PAC. Fritz Gustav Anton Kraemer was a German-American military educator and advisor. Bryce Nathaniel Harlow was a congressional staff member, army officer, advisor to U.S. presidents, and corporate lobbyist. Powell Allen Moore was an American Republican Party politician and public servant, who was an official in the United States Department of State and the United States Department of Defense. Joseph Fred Buzhardt, Jr was an American attorney and public servant. He is best known for serving as special White House Counsel to Richard Nixon during the Watergate scandal. Previously he had served as General Counsel of the Department of Defense and as a legislative aide to Senator Strom Thurmond. ↑ Hohmann, James (February 21, 2010). "Alexander Haig, 85; soldier-statesman managed Nixon resignation". The Washington Post . Archived from the original on February 21, 2010. Retrieved February 21, 2010. ↑ Weiner, Tim. "Alexander M. Haig Jr. Dies at 85; Was Forceful Aide to 2 Presidents". NYTimes.com. Retrieved 9 January 2017. 1 2 Weiner, Tim (February 20, 2010). "Alexander M. Haig Jr., 85, Forceful Aide to 2 Presidents, Dies". The New York Times . Archived from the original on February 21, 2010. Retrieved February 20, 2010. 1 2 "German Guilty in '79 Attack At NATO on Alexander Haig". The New York Times . November 25, 1993. ↑ Bonner, Raymond (November 9, 2014). "Bringing El Salvador Nun Killers to Justice". The Daily Beast. Retrieved January 16, 2018. ↑ "Alexander Haig". Time . April 2, 1984. p. 22 of 24 page article. Archived from the original on April 6, 2008. Retrieved May 21, 2008. ↑ "Alexander Haig". Time . April 9, 1984. ↑ Ajemian, Robert; George J. Church; Douglas Brew (July 5, 1982). "The Shakeup at State". Time . Archived from the original on March 27, 2010. Retrieved February 21, 2010. ↑ Harold Jackson (February 20, 2010). "obituary". The Guardian . Retrieved 2014-06-04. ↑ "New Atlanticist". Acus.org. Archived from the original on April 30, 2013. Retrieved 2014-06-04. ↑ "World Business Review with Alexander Haig". Archived from the original on October 25, 2006. Retrieved December 17, 2008. ↑ "Business Wire AOL-TIme Warner announces its board of directors". Business Wire. January 12, 2001. Archived from the original on July 8, 2012. Retrieved December 17, 2008. ↑ "Alexander M. Haig, Jr". 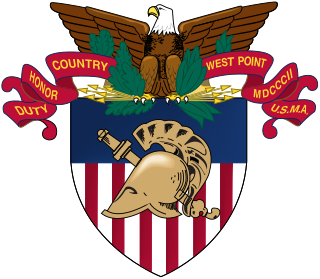 West Point Association of Graduates. Archived from the original on March 20, 2012. Retrieved August 9, 2011. Wikimedia Commons has media related to Alexander Haig .